Okay I admit it. I'm not much of a dessert guy. Call me the typical male. I don't mind. Hey, I like savoury snacks to go with my beverage. Sweets? If I have room afterwards. 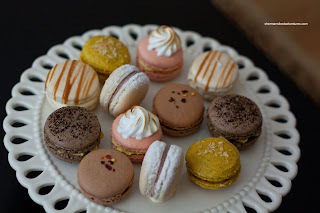 So when I was invited to a tasting with Mijune that would mainly be based on Macarons, I went in with no expectations. 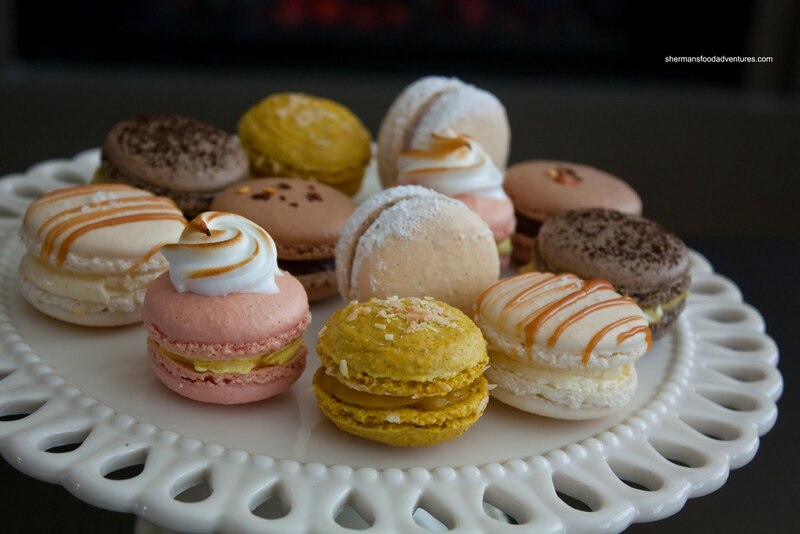 Only recently gaining popularity in North America, Macarons originate from France. Thanks to Vandelay, I've had the pleasure of enjoying Macarons by Pierre Hermé. His macarons are arguably the best in the world. What sets his apart are the flavourful and rich fillings. Over here, there are a few decent choices such as Thomas Haas and Paul Crouteau. 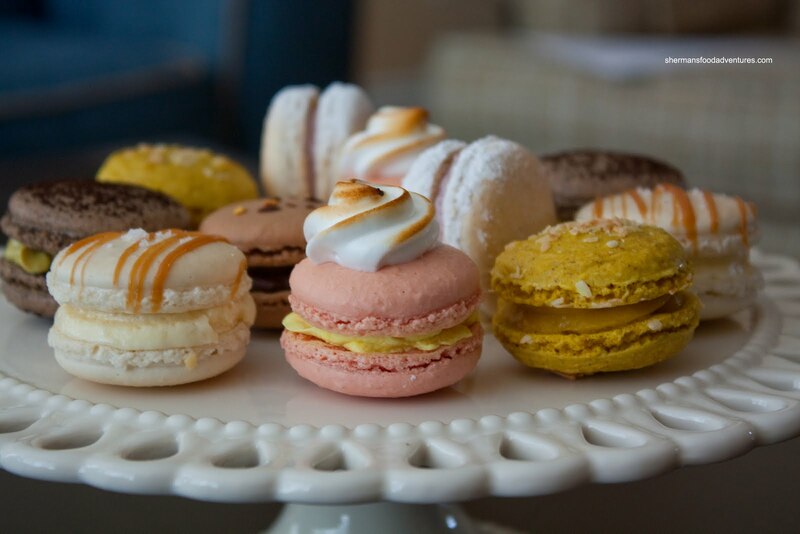 There is another source for good Macarons in the GVRD and one would never guess where. The place? Kitchening with Carly. Who? A trained educator who has traveled to France for patisserie training, is now teaching others how to cook. 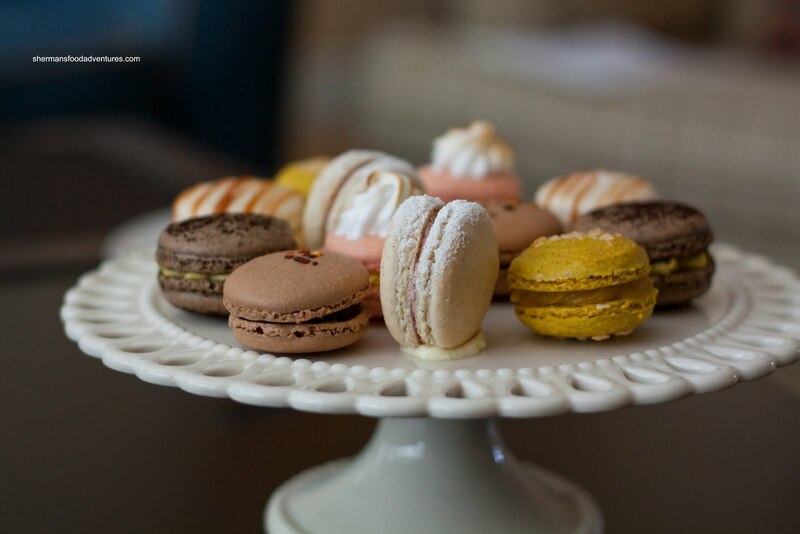 And yes, she makes some pretty good Macarons as well. That is what Mijune and I were here for. To eat, taste and provide feedback pertaining to her unique creations. So without further adieu, let's get to the sweets! The first one we tried was the Vanilla Bean with Lavender Butter Cream. Okay, lemme be honest here. I'm not a huge fan of lavender. I don't like it in ice cream and I don't like it in my sweets. So, despite the Macaron itself being visually appealing and of a nice texture which melted in my mouth, the flavour was not my favourite. I did like the intense vanilla flavour though. Next up was the Raspberry with Creme de Citron and Italian Meringue. I liked the flavour with this one. It's worth mentioning that Carly takes some risks here by actually flavouring the Macaron itself, which is usually only tinted with colour. We honestly didn't know it was raspberry until we read the description; but it was pleasing with the light creme de citron. The meringue was pretty; yet detracted from the eating experience. For me, I'm a sucker for salted caramel. So I liked the Natural Almond with Rosemary Salted Caramel and Vanilla Creme. The intense flavour of the salt on top of the Macaron really hit my tastebuds. I only wished that there was a more uniform saltiness rather than only the middle. Something completely out of left field was the Toasted Coconut and Curry with Mango Jelly. I give Carly full marks for being daring and creative. But in the end, this was my least favourite. I really wanted to like it. However, the mango jelly was too wet and ultimately made the Macaron soggy. Furthermore, the curry totally overwhelmed any mango flavour. Now onto my favourite, which was the Espresso with Avocado Cream. For me, I like bold flavours, and this one delivered. 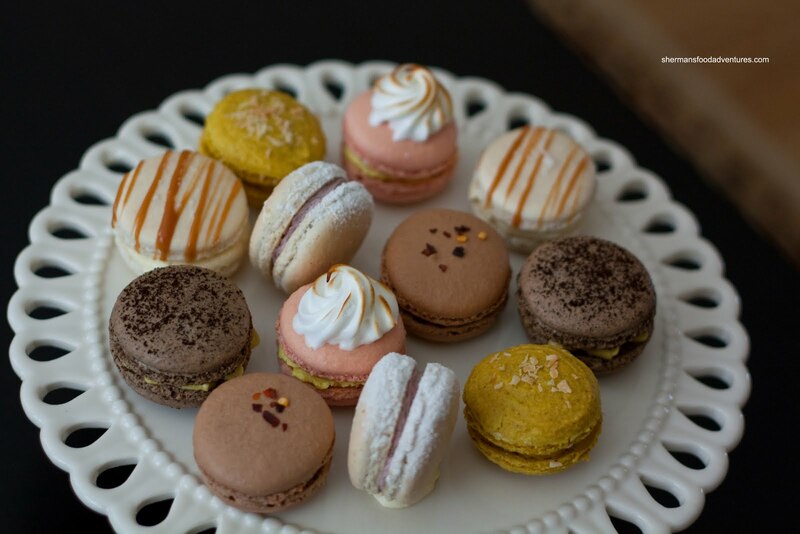 With a generous sprinkle of espresso on top, this Macaron packed a wallop in each bite. The avocado cream was somewhat lost; yet I could still enjoy the smooth creaminess after the initial coffee hit. My second favourite happened to be the Cocoa with Dark Chocolate Chili Ganache. Another bold flavour combination, I really appreciated the thicker filling (which is more traditional) and the sprinkle of chili flakes on top. Dark chocolate and chili, what's not to like? Well, maybe a tad more spice would've been better; but it was a good combination nonetheless. Now before we had tried the Macarons, there was this Lemon Tart... Oh alright, I'll admit it. If there is any dessert that I do crave is a lemon tart. I like citrusy things and this fits the bill. 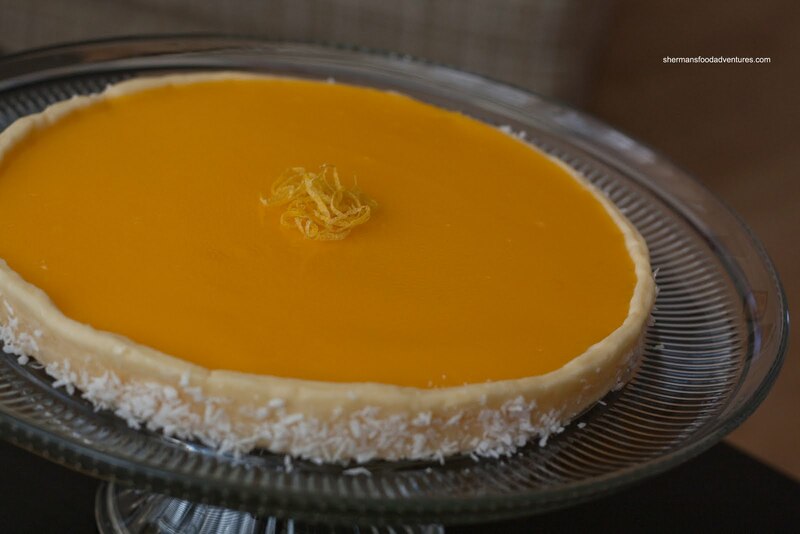 First of all, I loved the radiant yellow colour of the tart due to the use of organic free-range eggs. I also liked the smoothness of the filling and the nice balance of tart to sweet. There was a layer of almond cream in between the lemon custard and the crust to prevent the crust from getting soggy. It worked; but I didn't taste the cream, which was probably the intention anyways. Served on the side was a frozen raspberry jam which was not sweet at all. Unlike a coulis, this jam had seeds and it was almost a welcomed textural surprise. Talking about surprises... I really didn't know what to expect when we met up with Carly. Unknown to me at first, now permanently etched into my mind. Her creativity and risk-taking is admirable. I would definitely classify her as an up-and-comer with loads of potential. If this is only the beginning, I am looking forward to what lies in the future. It is worth noting that the Macarons are still being refined as I am writing this blog post. What we tried were a work-in-progress. With that in mind, I'd keep an eye on Carly, you'll be hearing lots more of her soon enough. Hi Sherman! I had trouble writing a comment cuz my browser had issues, so now I can. YAY! 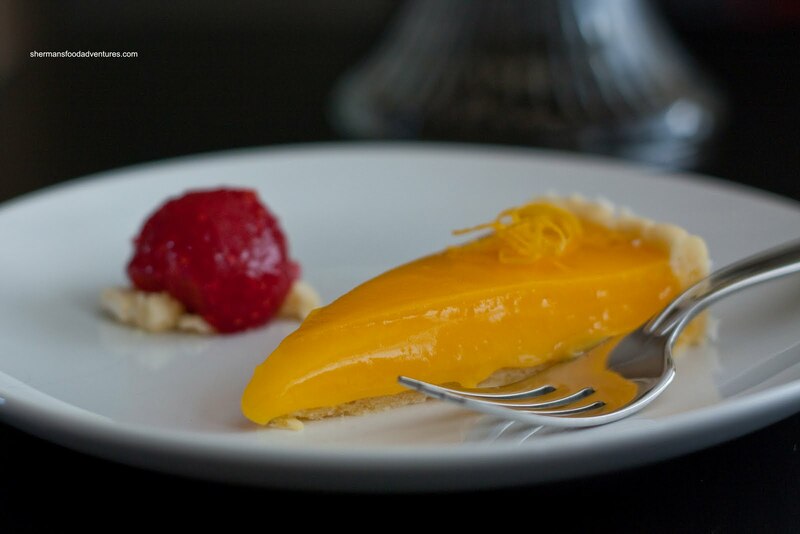 I love me some Lemon Tart and that one looks soo yummy! 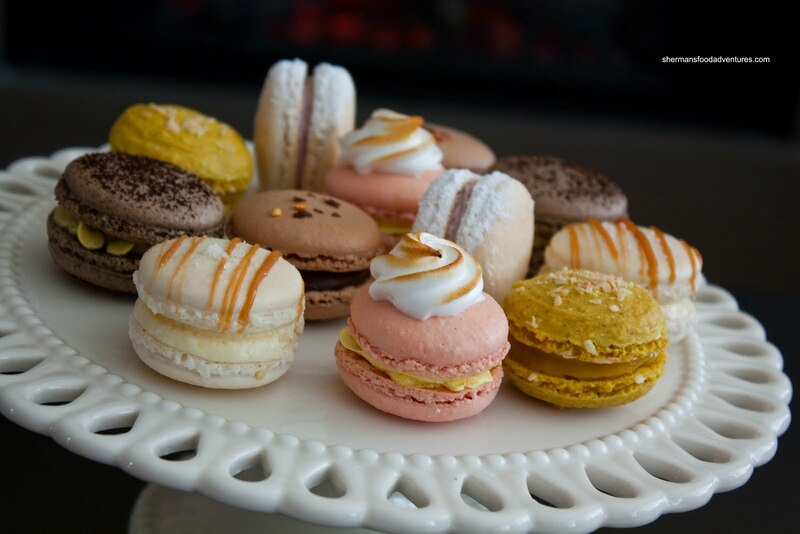 The macarons look fabulous and I would definitely contact Carly in the future!!! 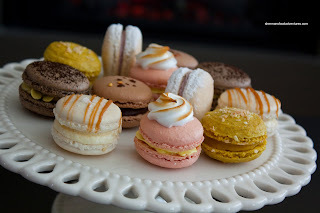 Macarons!?!?! I like Macarons!!! Are these currently being sold anywhere in Vancouver? Carly does make these, but she doesn't have a storefront. Maybe she will eventually?